With years of experience defending OVI cases throughout Ohio, our West Chester DUI attorneys work to defend clients facing DUI / OVI, traffic and criminal misdemeanor charges in the West Chester / Butler County Area III court. As your attorneys, we work to protect your rights, and help advise you of job-related and other collateral consequences. Our attorneys will also keep you out of the courtroom as much as possible, saving you time and money. Our lawyers have received numerous awards and accolades for their experience, skill and dedication to obtaining the best possible results for our clients. Our awards and honors include being AV® Rated by Martindale-Hubbell®, inclusion in Ohio Super Lawyers® Rising Stars℠, membership in the Ohio Association of Criminal Defense Lawyers, and a perfect 10.0/10.0 rating on Avvo.com. Whether you are facing a first offense OVI, or second or third offense, our firm can fight for the best possible results for your case. We understand the serious penalties at stake if you are convicted of an OVI in Ohio and work tirelessly to defend you in court. We work with our clients to build a pragmatic defense strategy, including examining the officer’s conduct, whether the field sobriety tests comply with national standards, and whether the breath or blood tests were properly administered and handled. In addition to OVI cases, we also defend against a variety of other criminal misdemeanor charges in West Chester. Examples include: marijuana possession, reckless driving, physical control, theft, hit skip (hit and run) and all other Ohio misdemeanor charges. 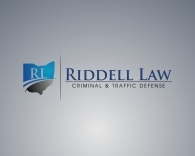 Riddell Law has proven experience when it comes to defending Ohio OVI cases. Read through our case results and client reviews for more information. We have also received the 2013 Client Distinction Award from Martindale-Hubbell, which requires a Client Review Rating Score of 4.5 or higher on a scale of 1-5. Less than 1% of the 900,000+ attorneys listed on martindale.com and lawyers.com have been accorded this Martindale-Hubbell honor of distinction. Call our offices of fill out our free case evaluation to discuss your case with one of our West Chester DUI attorneys. Tell us a little about your case and one of our attorneys will contact you ASAP if we can assist. Riddell Law LLC 2015. All Rights Reserved.